Modular multi loop controller systems KS vario - BG electric e.K. The modular KS vario multiloop controller system has been developed specifically for temperature treatment processes, whereby the basic version consists of a controller module and a field bus coupler. These two components already provide a fully operational control unit with 4, 6 or 8 loops. Simply by adding the required number of individual I/O modules, the system is expandable up to 30 control loops with minimum extra cost. 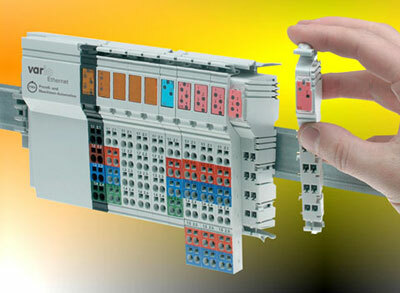 Hereby, no more I/O modules are required than those needed for the actual number of inputs / outputs. Moreover, the KS vario can also be expanded with standard I/Os, which are then made available to the superordinate system (PLC/SCADA). 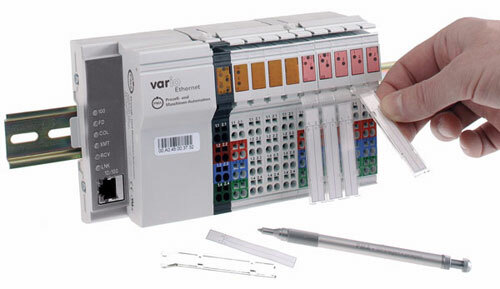 The individual modules of a KS vario system are simply plugged together without the need for tools – all interconnections are made automatically, and power is supplied via the bus coupler. The field bus coupler with integral power supply represents the heart of the system, and links the multiloop controller to all established field bus systems. Apart from ProfiNet and innovative Ethernet topologies, the coupler also supports classical field buses such as Profibus-DP, CANopen, DeviceNet, and Modbus. 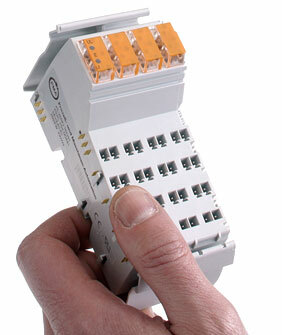 All conventional control modes including master/slave and valve motor control are selectable per channel. Two self-tuningoptions are available for determining the best control parameters: during start-up or at setpoint. Individual sampling rates starting at 100 ms are adjustable for each channel. Several special functions such as controlled start-up for plasticsprocessing machines are standard features of the basic version. Comprehensive heating current monitoring functions with correction for mains voltage variations (per phase), and the direct connection of strain gauge pressure sensors are just two of many other features. BlueControl is a powerful engineering tool for controller and system configuration. It combines clear operating functions with visualization and monitoring. Moreover, the tool provides a simulation of the entire control loop with selectable process responses.